Now thorugh February 24 eight of my images from the “Forgotten Places: North Dakota” series will on display as part of a group photography exhibit at the Taube Museum of Art in Minot, North Dakota. The exhibit includes photographs by 10 participants in Tillman Crane’s “Spirit of Structure” workshops in 2010 and 2011 in the Rugby, North Dakota area. Just in case any of my friends happen to be in North Dakota in January, the reception will be on Thursday, January 12 at the museum in Minot.Let me know if you can make it. Dan Smith, North Dakota Photographer and curator for the exhibit, offered to arrange for a real North Dakota Blizzard if I attended the reception. Unfortunately, I will miss that opportunity! The 79th Cumberland Valley Photographic Salon at the Washington County Museum of Fine Art opens January 28 and runs through April 29. 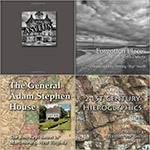 I have not done well in this juried exhibit the last couple of years, but this year I am excited that all four of the prints I submitted were selected by the juror for this year’s exhibit. The images were four out of my “Forgotten Places: North Dakota” series. To have one image selected in this prestigious event would have been fabulous but having all four selected was beyond my wildest dreams! 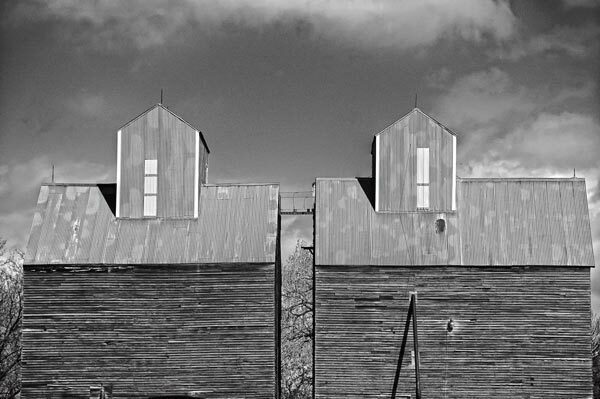 The icing on the cake is that my image “Grain Elevators, Rolette County” was awarded the Youngblood Studios Award for this year. Juror was Bruce Katsiff, photographer and Director of the James A. Michener Art Museum in Doylestown, Pennsylvania. The reception will be Sunday, February 12 from 2:30-4pm. Please join me to celebrate the continued success of my North Dakota Project. ~ by Admin2 on January 4, 2012.